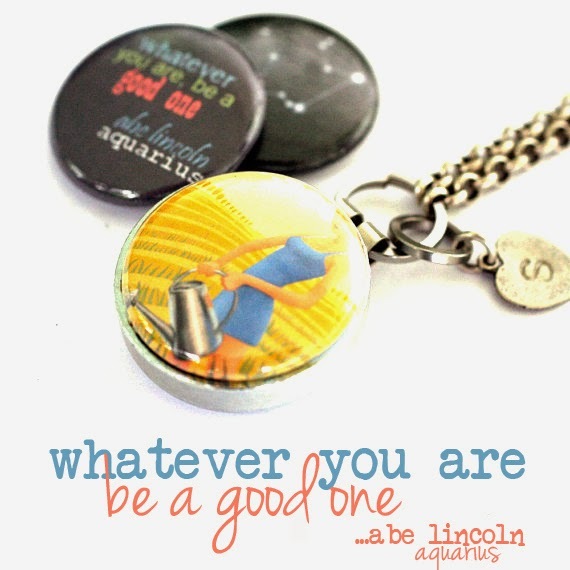 In my last post I may have been a bit caught up in my Aquarius energy. With the sun and moon in Aquarius yesterday and today I have had a very strong urge to scream "just do it"
but since new moons are invisible (this is more about planning than launching) - it's really more about baby steps for most people. Life requires us to put on our big girl pants and take that first step in the dark. We can't know where that step will lead us because where it will lead us will depend on all the other steps we take and our intention and yes, our destiny (which is an individual thing and what we are here to learn and experience and not some final outcome because our final outcomes are all 100% guaranteed). We can't know where that first step will lead us, but we have to take it anyway. That first step is the step that matters the most (unless you are a person who doesn't finish things and then your 'matters most' will be different). In that first space we adjust our sails and point our sneakers in the right direction. There's a bit of fate involved here folks, so there is only the right direction (this direction is about our values). We really can't take the wrong road - we can take the long road although sometimes the long road is the only way in ... for us. The skies are always telling us is we are all in the right place at the right time. Picture every one of us on this spiral staircase - we are all perfectly positioned. Our perspective is each unique, but because we are part of a long line of energy (a line of people; a continuum), we are able to access other perspectives from those souls at other levels. When we really get that we are in the right place - that there are greater forces at play here - that we are being taken care of, "that nothing real can be threatened" (as the Course in Miracles teaches) there is a kind of peace that comes to us. When we really get that every decision we make will get us where we need to go; that looking ahead doesn't work because the very act of looking changes what we are seeing (this is a proven scientific fact now) - when we get that everything in life is just showing us ourselves this whole quest (the quest we are on without knowing what the quest is - yes, we are more in the dark than Bilbo at times) gets a whole lot simpler (not always easier). February's energy (we have Venus moving direct today, but Mercury going retrograde next week) is about being in place. It is about trusting where we are right now and trusting the direction we are headed. Maybe clutter is a state of consciousness. I think a lot of people have started connecting the dots between the things we hold on to and the thoughts we can't let go of; the way things and thoughts pile up in our lives and how we use this stuff to protect ourselves, control others and stay stuck. And just because we don't look at this stuff or even remember we have it, doesn't mean it isn't contributing to the life we have now. Last year my brother was seeing a homeopathic (kinesiologist - is this a word?) chiropractor who linked his Wednesday migraines to the grief memories he was carrying in his body from both his parents dying on a Wednesday (15+ years apart). but when he knew, the headaches he'd had for 16 years stopped. 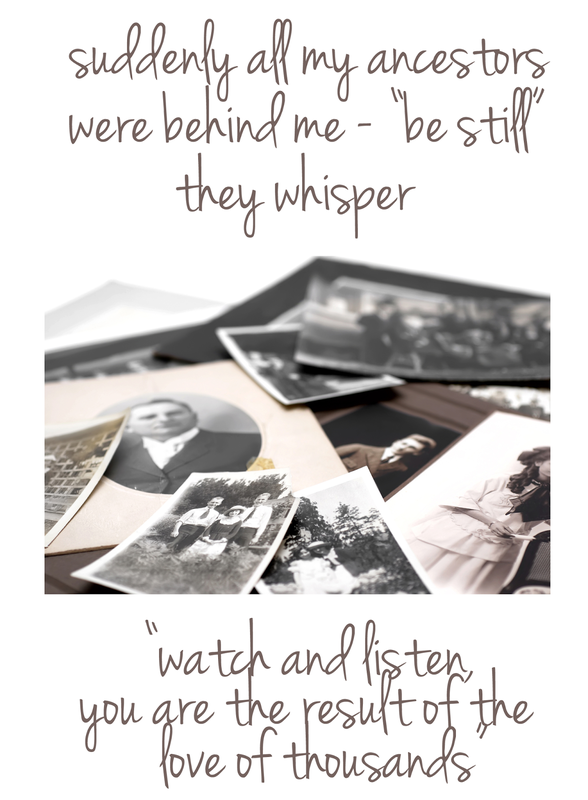 They didn't stop when the chiropractor told him the Wednesday headaches were connected to grief or when the doctor connected the grief to our parents' deaths. They stopped when my brother saw the dates and the calendars for himself. For him, proof = no more Wednesday migraines. I went to see his doctor a couple weeks ago and immediately he started connecting my digestion and neck issues to "motherhood/self nurturing vs. work in the world/security stuff". During our sessions he does a lot of muscle testing around issues and also adjusts my hiatal hernia (yes, this is as gross as it sounds unless inhaling while someone presses your stomach into your backbone sounds like a good time to anyone) and begins to adjust my neck and jaw. He advises some homeopathic pellets to dissolve in water along with an eyedropper full of rescue remedy and for me to take a swig of the water every hour. Last week he asks me what happened to me when I was 9 years old (he has never asked me about anything from the past or anything about childhood or any specific age before). I draw a blank and he tells me to think about it, but not to over-think it (what, me, overthink something?!) - that what is coming up will come up without me getting out the shovel and digging for it. I drive home. I swig my water. I head to hubs' garage to weld lockets. I count on my fingers to figure out what grade in school I would be in at 9 years old (does everyone connect their childhood memories to school grade or is it just me? ), I figure 4th-5th grade. I'm thinking the doc has miscalculated because my entire childhood fell apart when I was in 6th grade and we lost our house and became nomads until I was 18 and moved out. In 4th grade I was all straight A's (they were actually O's for outstanding back in the day), field day trophies, teacher's pet, obsession with Rumi that did not make me popular, star of the school play - but wait a minute now that I am thinking about it I realize that must have been the year my grandmother, whom I loved dearly, had died (who had raised us, sometimes with my mother in the house and sometimes without my mother in the house) because she wasn't around the next year. And wasn't 5th grade the year although I was still pulling straight O's, I was not only not the star of the school play but couldn't even make chorus because suddenly I couldn't carry a tune, my mother started taking some kind of little pills to deal with her mother's death that left an already shaky family situation even shakier, some bigger stuff I can't even write about, but I don't have to. You get the idea. Life got complicated for that 9 year old girl ... she lost her first mother and then she lost her voice. Everyone has their own story and I am only outlining one tiny piece of mine to show one way this stuff creates the "clutter" that makes it hard for us to open ourselves up to the good stuff that is happening now and unearth and cherish the good stuff that happened then. There is a lot of light in our world right now and if you look for them you will certainly be able to see the connections in your own life. So, while this chiropractor works on freeing up my neck and I get my nutritional self in order ... again and get my body moving. I will be working hard when I am working, but not working all the time. And I will be taking voice lessons at my brother's music store with their voice teacher. I start next week. I'm not sure I will be singing karaoke anytime soon, but I will be able to sing Happy Birthday out loud to people instead of just mouthing the words and huddling near an on-keyer ... or at least that's my plan plus it will strengthen my diaphragm (I just hope the practice room is sound proof, this could get ugly). And keep blogging I think this helps, too. That 9 year old girl is getting her voice back. This energy is always here, anyone can line up with a new idea and truly a New Moon in Aquarius is the perfect time to set your intention for just that. Ask that something new that will benefit you and others come through you - this is truly divine timing! I was talking to my sister about how good it feels to hold Sully (who is now 4 months old) and she was saying she thinks it's because when we are holding a baby we can't be doing anything else - it totally centers us in the moment and it gives us permission to not do or think about anything else. Maybe since his emotions are so close to the surface, he pulls mine up and out. His energy can't meet mine (thank goodness) so my energy rushes up to match his. 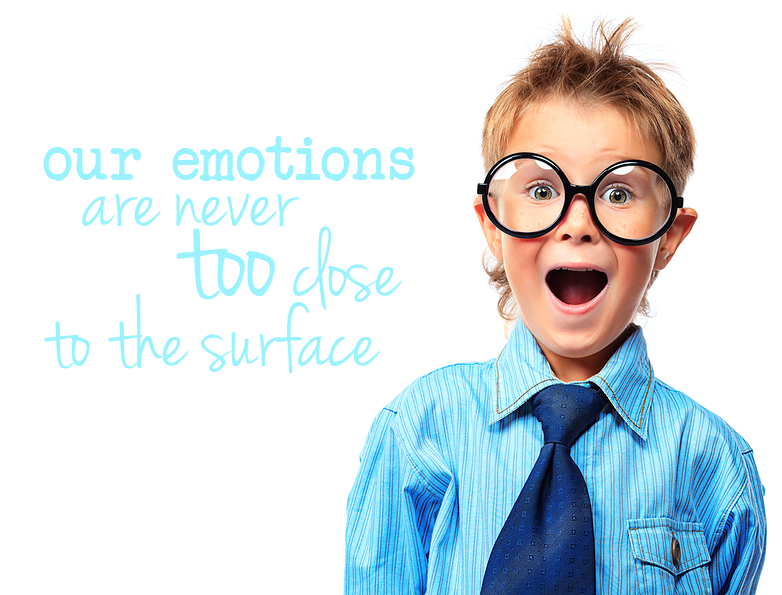 Maybe having my emotions in a place I can easily access them; close to the surface, is a good thing. Pushing down my emotions worked for me for years. And this was a subtle thing. I did this stuff without even realizing it. I was a very calm, cool and collected bank manager. I was a very calm, cool and collected mother (most of the time). I was a very calm, cool and collected wife and daughter. Of course, this is only because no one, including myself, because I was so busy and often out of touch with myself, could see what was happening underneath. And this stuff has not only been jamming up my emotional energy (which makes it more challenging to attract and line up with the experiences I want) but I am certain the reason for the autoimmune issues I am dealing with now. Releasing something in our mind is one thing; releasing our emotional attachment to it is something else. I am trying to be careful with the stories I tell myself now, because I can totally see how I am keeping certain experiences attached to me that are not high energy and do not serve me. We have a New Moon on Thursday (plus the Chinese Year of the Horse begins which creates even more universal energy for a new beginning now and it's a new super moon and a black moon - the 2nd dark moon in the same calendar month) - lots of new in this one folks. 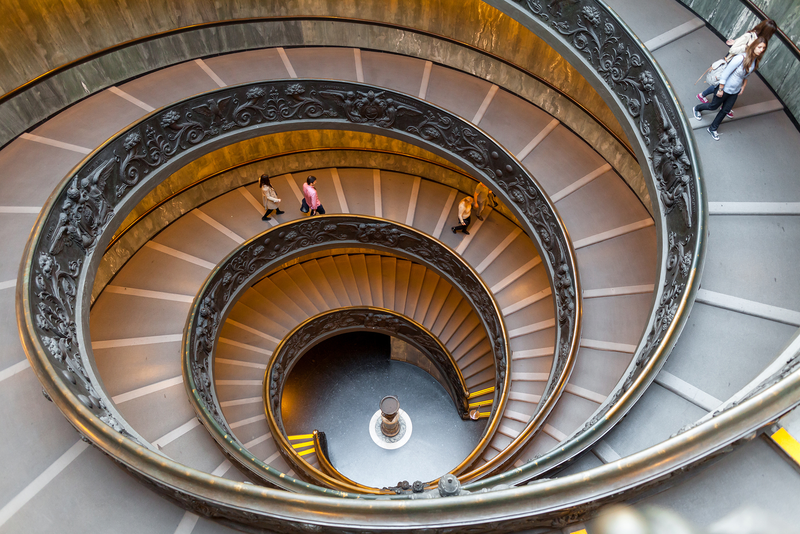 We have Venus about to move forward (YAY) so projects that have been in the planning stages or that have been stagnant over the last few weeks (especially related to creative projects, relationships and money since Venus rules both Libra and Taurus) can get some legs under them now and will start to move forward. More money comes in. See my retrograde post. Also the last few days of this lunar cycle coupled with these last few days of the Year of the Snake (snakes die when they don't shed their skin) make it a powerful time for release. I'm going to use this energy for something larger than that pile of newspapers in my bedroom, although the pile is outta here, you should, too. Maybe some belief we are holding onto about what we need to happen so we can feel secure, what we need to have in place before we can do something else, where we need to get before we can stop or who we need to be before we can relax. Let's let go of that. Write it in script, burn it, release it - we have to mean what we say with this stuff, because it works. If we have fallen off the wagon with any intentions set on January 1st, everyone gets a do-over. But the skies have changed so the way we work with those intentions changes, too. The difference between the New Moon on January 1st and this moon on January 30th is the sun has moved into Aquarius now so we take the energy of Capricorn - the builder, worker, organizer energy and evolve it with the big picture thinking of Aquarius. We take that thing we have built out of its box now. We look at it in a new way. We might even get a little Aquarian wild-child with it. Maybe our clean studio gets a bit messy. It's an opportunity to take a long look at how the life we are building fits in with the other lives we share the planet with and move in a more powerful direction of building a space that supports all of us. It’s a great time to set intentions that involve increasing our confidence, being true to ourselves and taking on new challenges. Since we moved into an air sign over a week ago ideas have started to move, our thoughts may be a bit more scattered, colds are easier to catch now since we are more easily ungrounded. If you are an Aquarius sun sign (like me) this is your most powerful new moon of the year. This New Moon is an excellent time to set intentions for Aquarius stuff. I haven't decided on my intentions yet, but will post some mid-week to give you an idea of the kind of work that is supported during an Aquarius sun period. You can set any intentions at all at a new moon but if you work with the energy at play in the universe right now, you will have a strong wind at your back. 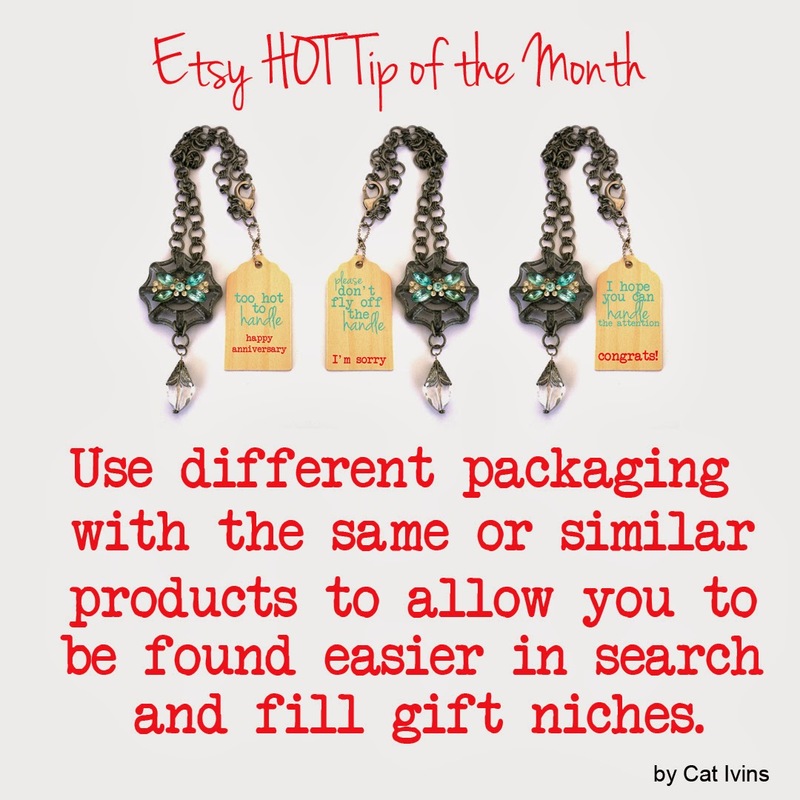 including my hot Etsy seller tip of the month - remake what you already sell with some clever packaging and widen your exposure by tagging into specific niches - and sell your thingamajig to the people who want to buy it. With one retrograde after another this year, we can't totally wait for the stars to line up for us to get stuff started or make things happen. One of the ways to create change in some area of our life (or to stop some repeating pattern) is by creating change somewhere else in our life and one way to figure out a way to do this is to listen to our own language about the situation. Step 1. Describe the situation to someone else. Or think about how you usually verbalize the situation. I will give a recent story about hubs as an example. George really wants a larger work space. Every other day he said to me, "I need more space". But he doesn't usually use those words - what he actually says when he is thinking 'I need more space' is "I don't even have room to breathe here." Step 2. We think about other areas of life where he doesn't have room to breathe. Since what he is saying is an actual physical thing there are many ways we had to work with this. He now takes 10 minutes a day and does some deep belly breathing. We use a laundry service for his shop uniforms and he really needs to go up a size on the pants waistband department (especially in the winter when he wears a lot of layers) but because they charge to set up a new size, he never does this. So, a couple weeks ago I ordered him new uniforms with the size increase - easy enough for me to tailor them later. He started walking around the backyard every night after work (he doesn't go out back much in the winter and I notice this "need more space" feeling hits him hardest in the winter). We moved our bed so his side isn't near any furniture or walls. I got a small fan for his desk. Right away he started to notice he didn't feel as stressed about being cramped at work. I noticed he got rid of some scrap metal he was saving "until the price goes up" and freed up some room in the shop (he had refused to do this earlier). Now he didn't actually get more space, but by moving the energy in other areas of his life, this energy has to shift, too. It wouldn't surprise me if some actual change to the physical space shows up soon. Now, if he had found himself saying "I'm cramped here" or "I can't think straight here" or "I'm buried here", etc - then the way we would have changed things and the things we would have changed would be different. Since everything is connected it makes perfect sense that this works. If we are having trouble starting something new, start something else - something easy, but maybe not too easy. If we are having trouble finishing something then finish something else. If you have trouble with procrastination at work, find something that needs to be done right now in your kitchen and do that and I mean right now, just go and do it. Little changes create big changes. Maybe there are no big changes, just little stuff done over and over again. While I was going holiday crazy, my brother joined ancestry.com. He was quickly obsessed and arrived to Thanksgiving dinner with pages of names and a roll of scotch tape. Anyhoo, it was quickly apparent that George and I are related (yikes, poor Olive), which may be true of almost everyone if we go far enough back, but we didn't have to go very far. Also the names we are related through are last names the town we currently live in is filled with, even though neither of our families are from this town. And neither of us ever realized we were related to any of these people. There has always been a family story of an ancestor named David Matthews (my grandmother's grandfather I believe, if I have enough grands in there) who fought in the Civil War, lost a leg, shook hands with Lincoln, owned half of the next county and to his detriment never learned to read and write. He was swindled of his property by an unscrupulous lawyer and shady judge when he signed his X on the wrong dotted line. We learned from my brother's ancestry.com work that David Matthews had a daughter who married a lawyer - this daughter later died under mysterious and unknown circumstances and this lawyer, who was then a wealthy widower sold a lot of property and moved ... I don't know, somewhere warm I would imagine. David Matthews was still alive at this time. was related back to my husband in exactly the same way David Matthews is related to me (grandmother's grandfather)!! So it would appear hubs' great-great great grandfather (if I have the correct number of greats in here) swindled my great-great great grandfather, possible murdered my great-great great aunt in order to own half the next county - which his new wife and heirs must have proceeded to sell off with great expediency since none of it is left. Now, I can't actually prove much of this. But I do know I have a family story about a swindle by a lawyer and now know the person who was swindled had a daughter who married a lawyer who came into a great deal of money at precisely the time my ancestor lost it. Also, I almost forgot the most interesting part ... this all took place in the town I now live in - which is a very small town that hubs and I only stumbled into because we drove through it back and forth to work for a year to avoid the main roads. And the farm my great great great grandfather lived in was on the road we currently live on (long gone now) and possibly the very property we live on was part of that property. Yes, I know this sounds like a Lifetime movie. I can't decide if this is a million to one happening or if this kind of stuff is bound to happen when people's families have lived in the same general area for generations. I can't help thinking there is some kind of ancestral karma here that I should look at. Maybe I shouldn't. Maybe it is something hubs and I have ironed out just by being together, I don't know. I do know that I have been making it clear to hubs that he owes me at least half a million dollars because of the actions of his direct ancestor THE LYING SACK OF NO GOOD FILTH. I should be a rich woman now. I have probably given you a headache and you are thinking, what the hell is she talking about ... it is rather hard to follow. I need to make myself a little chart and post the picture for the screenplay I am writing for Lifetime. this would all wrap my story up rather nicely. Well, not so nicely for me, but nicely for Lifetime maybe. 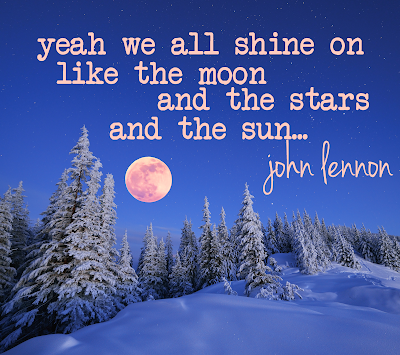 We have the first full moon of 2014 tonight! self-sabotaging tendencies that surface now around the real world goals we set in Capricorn a couple weeks ago can be released easier as the moon wanes over the next two weeks. We have the moon (where we've been, what we know, feminine energy, being) and the sun (where we are trying to go/be, masculine energy, doing) as far apart in the sky as they can be from our earthly perspective during a full moon - now we have the sun in Capricorn and the moon in Cancer. This is the polarity of male/female roles, work and the world vs home and family, how we push ourselves toward meeting new goals vs how we care for ourselves and meet our needs for safety and security, also money vs love stuff - lots of family patterns and soul group stuff coming to the surface now to be released if we are paying attention. This release is our gift to the world. The moon is at home in Cancer and represents 2nd chakra stuff - our emotional center. Second chakra health issues (bladder, reproductive organs, lower back, hips) are about imbalances with the Cancer/Capricorn polarity so this is about those who would rather focus on love than money, those who would rather focus on money than love, people who have an unbridled (think of that wild horse, there may be a bit of recklessness in this) drive to move forward in either love or money or people who cannot responsibly handle either love or money. The negative thought patterns that surface for this polarity create emotions of anxiety, anger or sadness around gender and sexuality and relationships (love and family) and finances. So if we have physical problems around this what is standing in the way of us making the changes in our finances and relationships to improve our health? Ask. See what comes up for you over the next two weeks. Cancer energy does not want to be vulnerable, it wants to play it safe - there are mother connections to this stuff and how we were mothered and how we mother and nurture ourselves and others. There are some big energies to work/play with here. This is the time of the rebalancing of masculine/feminine energies on the planet. The spaces in our life where we lead (Capricorn) are asking us to be more open-hearted (Cancer) now. This polarity is a universal theme every January and July - and right now with the full moon in Cancer is a powerful time for many people to change 2nd chakra thought patterns that aren't working. This is my north/south node polarity (I feel it as work vs family and as work vs self care) and my moon is in Cancer. Every time it comes up I get the choice of acting, reacting and releasing in a higher way. Since attachments are ruled by Cancer this is an excellent time to be releasing our negative hooks. If we need someone to behave in a certain way in order to love them, it's not love. It's attachment. 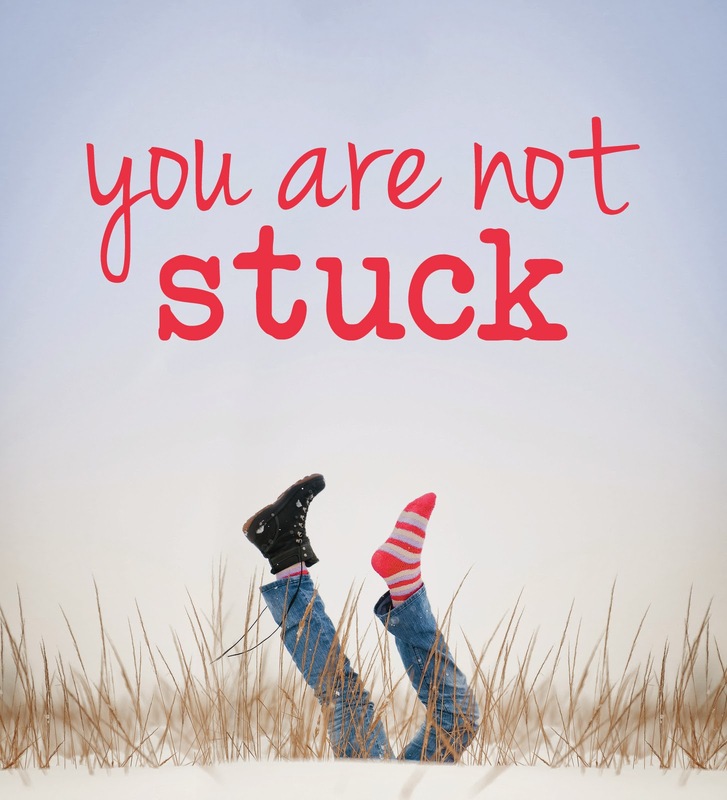 When we put our hopes and expectations on other people or people do this to us it triggers patterns in us and those patterns trigger responses that we need to release. This isn't happening to us, it is happening for us - if anyone or anything is triggering us now - understand that they are a soul supporting our growth to greater truth and power. They (or the situation) is showing us that we are ready to be stronger in our energy. Whatever is showing up is a gift. If we accept people (and especially ourselves) as they are - they can reveal themselves in ways we can recognize as true (this allows us to live from a place of truth, too) - that is love. If we need something to happen in a certain way for us to be happy, this is the kind of attachment to a goal that gives our power away. Life is not supporting us giving our power away anymore. This change is cyclical - we are on our own hero's quest and we are all on this journey together, too. It is also something we are creating across the planet by asking for freedom from power structures - part of the deal of those power structures crumbling is the safety nets that go along with them crumble, too - we can't take daddy's money and not play by his rules. A couple things happened during the holiday rush while I wasn't blogging that I need to report - yes, this is the mayhem I have been referring to every chance I get so often in a half-baked attempt to create a little viral buzz. A little background to this: we are planning to move. I have been affirming the right property finds us and the right buyers for our current house find us at exactly the right time and we all live happily ever after (not together of course, but you get the idea). We have no idea where we at moving to (yes, I will be dangling participles here, if this kind of poor grammar is going to drive you crazy, I apologize in advance). We only know that it is time to go (I will make up for my poor grammar by channeling Dr. Seuss). A few weeks ago, hubs comes home and announces there is a house he wants me to see and we have an appointment the next day at noon. I tell him I have a doctor's appointment at two, so we have to be quick. (although market value is pretty much anybody's guess these days) - it was a good deal. George tells me the house has 20 acres (!) and is "a beautiful and well maintained 70's ranch." A customer of hubs (everyone within 20 miles of us is a customer of hubs or a customer of a customer of hubs), who happens to have a real estate license (and is an accountant and owns 1/3 of a golf course) can show it to us and get us this amazing deal, but we have to act fast. There are two little drawbacks - this house is around the corner from where we live now and is a lot of money (much more than we were planning to spend). So, if we bought this house we would be broke and packing up and moving around the corner. 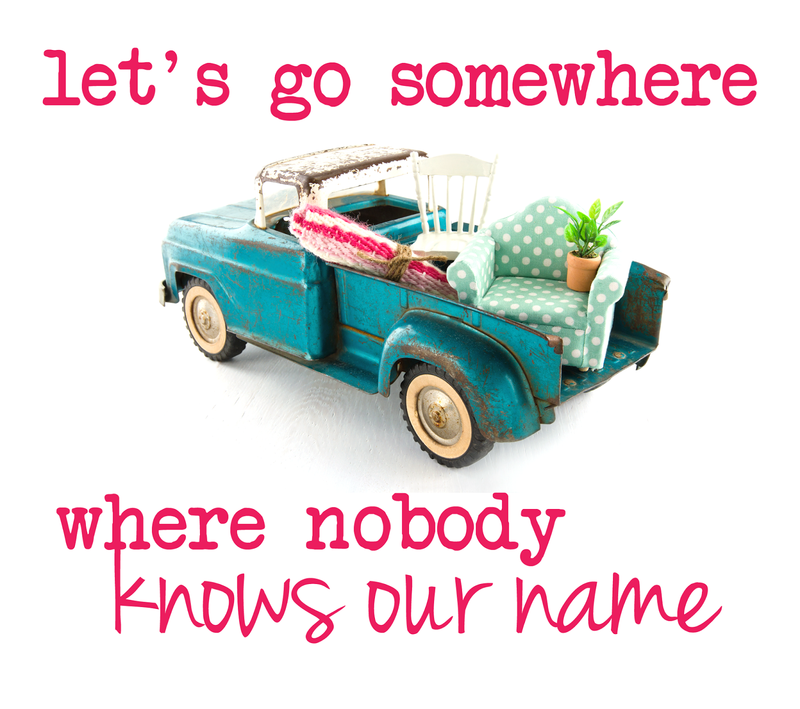 No new town to explore, no better weather, no NEW LIFE IN A NEW PLACE ... you get the idea. So anyhoo, hubs comes home at noon and we drive around the corner. The house has very good bones, a very solid grounded footprint, a beautiful view from a large kitchen window, a nice fireplace, a gorgeous sunroom and the kind of open ranch feel we want. It is much larger (or at least feels much larger, maybe because everything is on the same floor) than our house. The house also has horrific wallpaper everywhere, bathrooms and a kitchen in desperate need of an update, no clear space for me to work, a Sears catalog from 1986 with Cheryl Tiegs on the cover lying on the kitchen counter next to the phone as if someone had just placed an order for a Betamax. Hubs walked the property line with the real estate agent/accountant/golf course owner. I wandered around the back yard with Chris trying to avoid the dozens of piles of deer poop littered across that beautiful view I had seen from the kitchen window and thought about Lymes disease and bullseye rashes. We had to make an offer by Monday because there was another offer on the table (this was a Friday), so we knew exactly what we had to offer to get the house. I was just not feeling it (it was a lot of money and I once gave myself a serious carpal tunnel injury removing wallpaper plus did I say it was AROUND THE CORNER). Hubs was salivating (the way some men lust after Cheryl Tiegs or did in 1986, hubs lusts after land). I ask the universe that if we are supposed to buy this house I get a sign I cannot miss (and yes, I realize there is no 'supposed to' - there is really only what we do, but I get lost sometimes and think like this anyway). I head for my doctor's appointment. The girl in the office shows me to the exam room and asks me, "so what did you do today?". I tell her we looked at a house, but the problem is the house is right around the corner from our current house. She tells me that she once moved right around the corner and that she did it to get off a busy street. I tell her that this move would get us off a busy street. She says the only regret she has is that she misses her ranch. I told her this new house is a ranch and we are currently in a two story and we would like a ranch. She says to me "well, I say go for it." Long story short - we don't go for it. The house is just too much money for us with the remodeling it would need and even with a farm assessment on the land, the taxes on the house are double our current property taxes. And we are kind of looking for a bigger change than moving around the corner. It is a very cool house for someone though. hubs comes home and tells me the real estate agent/accountant/golf course owner stopped by and told him the original offer (the one we had to beat with our offer) got the house. He also told George that our town, fearing the only large land plot left would be developed into McMansions and needing a park, got some green acre money from the state and is buying 15 of the 20 acres from the new owner for $500,000 ... so the buyer got the "beautiful and well-maintained 70's ranch" with 5 acres for $125,000.00! In my defense I should say this was during the hectic holiday season, few people would buy a house so quickly that was so far out of their price range and I had some distracting health stuff going on. I try to tell myself that this would not have worked out the same way for us because getting hubs to part with 15 acres, even with an offer of $500,000 and a wife threatening divorce and possible decapitation if he wouldn't sign on the dotted line, would have been very difficult. Also the town knows us and maybe would not be fearing McMansions from us (but something more in line with fields of dandelions, which they might hate more actually). but of course, I did ask for a sign and I did get a sign (beginning with the woman asking me "what did you do today?" which is a very peculiar question to ask someone in the middle of the afternoon and ending with the synchronicity of her story and "go for it") and now life has to line something else up for us .... something that may or may not include a $500,000 bonus (I'm affirming that it does). In 3rd grade I had to write my motto in the class yearbook (why did we have yearbooks in 3rd grade - I guess we didn't. It was some kind of written something like a yearbook though) and I remember writing "Try. Try again." I have no idea why I wrote this in my "yearbook" because even then I knew I was not a Try. Try again, kind of girl. I was more of a "do the stuff I am really good at only" kind of girl. 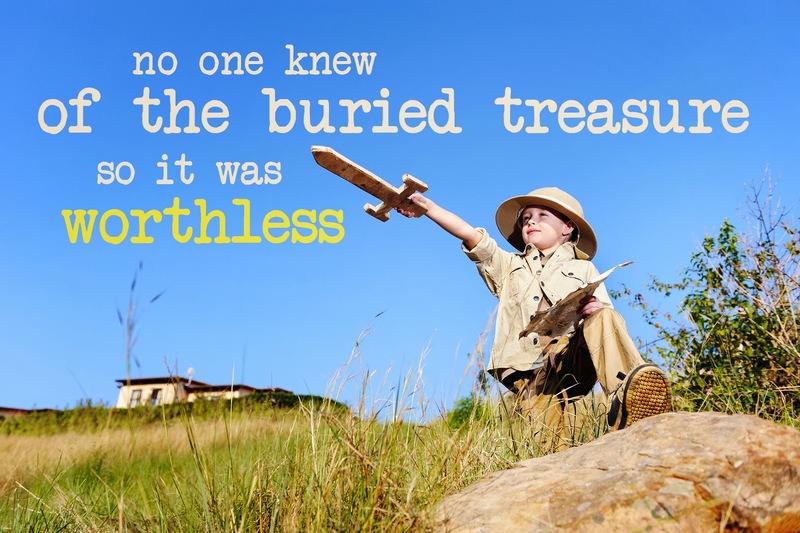 I was lucky (or maybe not) that the kind of stuff I was good at was the kind of stuff that mattered to teachers. I remember my teacher nodding her head approvingly at my 'motto'. Flash ahead a few years and no one would be thinking "Try. Try again." was a good motto. Not that we had become a world full of quitters, but it wasn't try-ers that were running things now - it was the do-ers that made things happen. The world had moved on to "Do or Do not. There is No Try." YAY for Yoda! Then Nike eliminated that notorious 'try' word altogether with "Just Do It." I still like the word "Try" though. And Hope, I like the word "Hope". 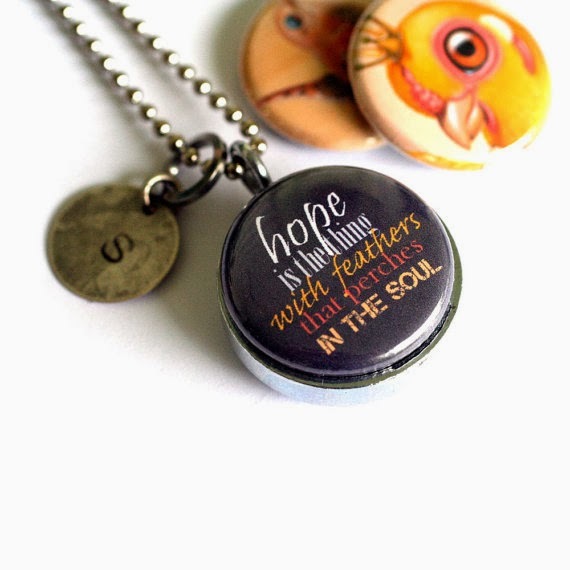 I used to make a locket with the word Hope and people asked me all the time to change the word. They didn't like it. I see the potential pitfalls with these words, but I still love them. Surrounded by people filled with hope that are trying to make things better is not such a bad space to be. My favorite quote is T.S. 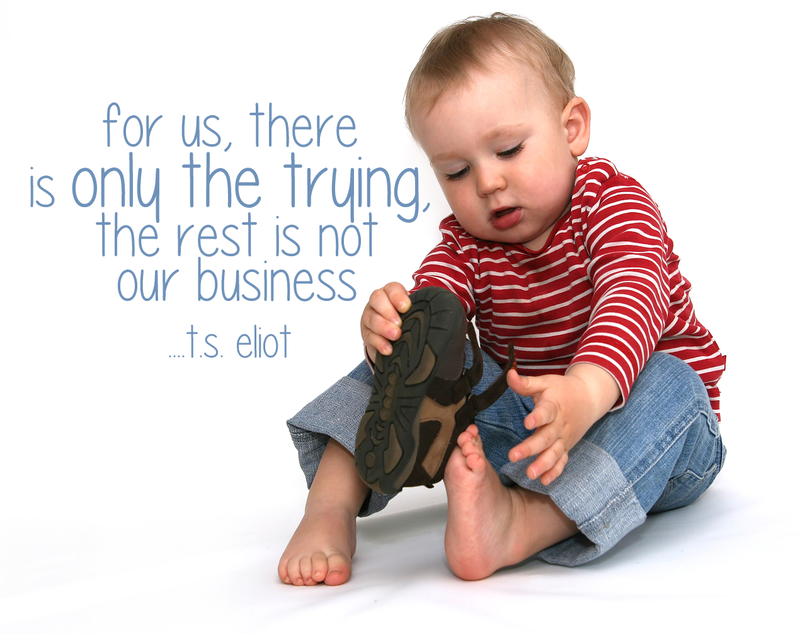 Eliot "for us there is only the trying - the rest is not our business." We can only do what we can do. The process is what we do. The rest is not our business. being any kind of barometer for how I am doing - not because I am a control freak, really! but because I am committed to being about the stuff that matters and not just about the stuff that can be measured. xo I still have a winter mayhem update post to write this week, I haven't forgotten! Stay warm! 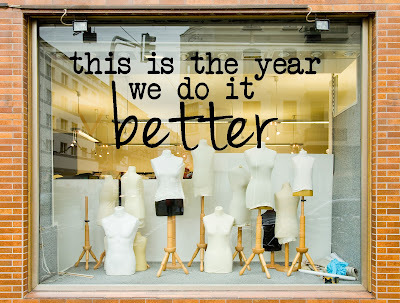 .... not better than someone else does it and not even better than we did it last year, because we were in a difference space last year and we don't fit in that space anymore. Doing what we could have (maybe) done then may not be the best thing for us to do now. We don't do it better by looking at what didn't work. We look at the stuff that went right. We focus on how we want to feel. about the guy who turned without signaling, the temperature, the shortened day, the pending storm, the traffic, the parking lot, health stuff, customer problems, my daughter's problems, my niece's problems, political stuff, Fukushima (hubs is obsessed with Fukushima) - all important topics, but I realized we were framing all our conversations about what was going wrong. Every time hubs brought up a problem, I re-framed it. Every time I was about to say something that wasn't something I wanted or connected to how I wanted to feel, I stopped. When we got to the house I asked George if he noticed what I was doing and he said "yes, but what good does it do to pretend everything is perfect - how does that fix anything?" This isn't about pretending everything is perfect. It's not about fixing anything or getting so fixated on who we want to be that we lose sight of who we are. But once we know we get what we focus on, scratch that - once we know we are what we focus on - once we really know this, this mindless negative chatter matters. We currently have a Venus Retrograde that takes us right into a Mercury Retrograde which takes us right into a Mars Retrograde (some people may feel like they aren't really getting started until May!) - this can create a whole lot of space for us to reinvent ourselves this year. So how do we want this all to play out? What are we going to do with this space we have been given now to make the stuff that we know isn't working for us better? Hoping everyone is having a wonderful New Year! We are expecting snow to start any minute here!